I fell in love with the Wildes in book one, Montana Cherries, and those feelings have grown stronger with each subsequent book that Law has published. If I looked up "dysfunctional families" in a romance dictionary, the Wildes would undoubtedly be prominently featured and with good reason. Growing up under the manipulative influence of a mother with narcissistic personality disorder and a father who escaped into work in their family cherry orchard both before and after their mother's death, you'd expect these siblings to have a few issues. They've come a long way since book one but, as readers will learn with Jaden, there are still some obstacles left to overcome on the road to happiness. While there's plenty of emotion in Montana Dreams, there's also great banter and a fair amount of humor. There are still serious issues being tackled but Law injects enough realistic humor into the story to keep it from becoming too angsty or dark. Tears were shed in the reading but there were more than a few laugh-out-loud moments too. I love that Arsula doesn't take any crap from Jaden. He's the baby of the family, pretty arrogant (a bit self-righteous, perhaps?) in his beliefs, and needs someone who will call him on his behavior when warranted. His growth over the course of the book is significant and satisfying but not without a few heart-wrenching roadblocks along the way. As for Arsula, I adored her, cheering her on the whole way. I want to be her friend, I want her to read my dreams, and I hope we see more of her in future books. The path to a happy ending wasn't easy for these two but I was happy with the resolution of their relationship issues - I love a good grovel - and am confident that Jaden and Arsula have what it takes to celebrate the good times, work through the bad times, and travel life's road together. I'm a stickler about reading series books in order. For a deeper understanding of the secondary cast of characters, the emotional issues they have overcome, and the events that have brought the Wildes to the place where Jaden's story begins, I encourage readers to start with book one and read the series in order or, at the least, read Montana Cherries first. Having said that, however, if you don't mind jumping into the middle of a series, Law has provided enough backstory (without an info dump) about the Wildes that you should be able to enjoy Montana Dreams on its own without feeling lost. But then go back and read the others because they really should not be missed. The Wildes of Birch Bay books published so far, in order, are: Montana Cherries, Montana Rescue, Montana Mornings, and Montana Dreams. Are you reading the Wildes of Birch Bay series? Do you enjoy a blend of angst and humor in books or do you prefer one or the other? Have you ever visited a dream reader? Would you? I love Kim's books, but have not read this series. I always love humor in a story. Altho I don't know if appropriate if a straight suspense story. I just found a copy of this book on my TBR, so please take me out of the running. This author's novels are captivating. I enjoy humor but mostly trials and tribulations which the individuals go through. I have never visited a dream reader bit the experience sounds intriguing. I thought it was intriguing as well, traveler and, as I said in my review, I loved the character. 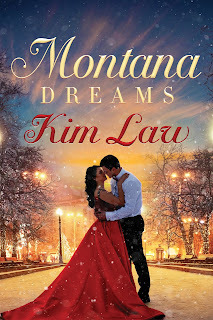 Montana Dreams would be wonderful since it is about real people and their lives. Even though life is filled with problems I want to read books with that theme. I had heard about dream readers and I would go to one for sure. The author gets very real in this series. I've enjoyed it so much. This is a new to me author, so no, I have not followed the series. I enjoy a bit of everything in my reading and pick up books depending on my mood at the time I am choosing my next read. Must admit that I have not come across the term, dream reader and would unlikely visit one, though I imagine it must be interesting to read about in a story. It's an emotional series, especially the first book, and oh so good! You have introduced me to another new to me author. Sounds good. Thanks. This sounded familiar, so I looked and I also have it on my TBR. Don't put me in the drawing. I need to get caught up on this series. It sounds like my kind of book! Great review! This is a new author to me. I’ve never heard of this series. That is a beautiful cover. This is a new series for me. It sounds interesting, especially with Arsula, the Dream Reader. The blend of angst and humor is an enjoyable mix for me. Humor is so important to a story and is often forgotten. Angst usually shows up somewhere. I have never visited a dream reader, but I have had my aura read twice. I haven't read this new series, but I do enjoy her books.